Commutation of a Sentence - What Does It Mean? What Does “Commutation of a Sentence” Mean? Both governors and president possess the power to commute a prison sentence. This clemency power can be used to make a statement about criminal justice reform and to show mercy. Commutation of a sentence means a reduction in punishment. Typically, a commutation lessens a prison sentence, but it can also reduce court-ordered fines. A commuted sentence replaces the original court-ordered sentence. The president of the United States can commute a sentence. This power is granted within the overall pardon power of the president of the United States under Article II, Section II of the Constitution. The Office of the Pardon Attorney handles the thousands of petitions for commutation of a sentence submitted every year to the president. Similar to the president’s ability to pardon an individual for a federal crime, the president can only commute federal sentences. The Office will only begin to consider a petition until the petitioner has started his or her sentence. A petition for a commutation of a sentence will not be heard if the petitioner is challenging their sentence or going through the appeal process. 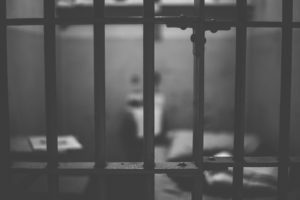 A petitioner can ask for a commutation of the sentence or commutation for a reduction of the probation period, supervised release, or special parole. The petition process is lengthy and strict. A petitioner must report any other crimes the petitioner has committed. Any false statements warrant serious fines. The Office of the Pardon Attorney is very transparent, stating that the commutation of a sentence is “an extraordinary remedy that is rarely granted.” There is no in-person hearing, either by the Department of Justice or the White House. A petitioner cannot appeal the President’s decision to deny a clemency request. While the Office states that the granting of commutation of a sentence is rare, this action has increased with recent presidents. However, the number of petitions asking for commutation has increased along with it. For example, President Richard Nixon received 892 petitioners for commuting sentences. He granted 60 in his 67 months of being president. Contrast this statistic with more recent presidents. President Clinton received 5,488 petitions for commuting a sentence and granted 61 petitions. President Obama received 33,149 petitions for commutation of a sentence and granted 1,715. President Trump has already received 8,932 petitions during eight and a half months of being president. President Obama notably issued a great number of commutations at one time. In one of his last acts as president, President Obama commuted 330 federal inmates’ sentences for drug crimes. President Obama used this commutation power to bring attention to his belief that the sentencing for drug crimes was unjustified. From the beginning of his presidency, President Obama stated he favored a reduction in sentencing for drug crimes. This very public stance most likely contributed to the tremendous amount of petitions for commutation of sentencing during his presidency. His 330 commutations granted was the most commutations in a single day in United States history. Along with these presidential actions, President Obama pressured Congress to pass reform on criminal justice sentencing, however, Congress was not able to pass legislation before President Obama’s term expired. President Obama commuted the sentence of Chelsea Manning, the former Army intelligence analyst. Manning was convicted of a 2010 intelligence leak, revealing American military activities across the world. During incarceration, Manning came out as transgender. Manning was incarcerated at a men’s military prison in Fort Leavenworth, Kansas. Her fate in an all-male prison contributed to President Obama’s decision to commute her sentence. At the time of President Obama’s commutation, Manning had already served seven years of her 35-year sentence. Manning’s sentence was the longest in United States history for leaking classified information. President George W. Bush received 8,576 petitions and granted 11 commutations. However, one was particularly newsworthy. President Bush commuted the sentence for former staffer Scooter Libby. Libby was an assistant to the Vice President on the National Security Affairs council and the Chief of Staff for the Vice President. Libby was sentenced to thirty months in federal prison after being convicted for perjury, obstruction of justice, and lying to investigators. Libby was questioned during the Valarie Plame affair. Plame was a former CIA operative and Libby was convicted of leaking her identity to a newspaper in 2003. This commutation was very controversial. Many Republicans wanted President Bush to pardon Libby. Pardoning Libby most likely would have caused significant outrage from Democrats, so President Bush commuted his sentence instead of pardoning the crime. State governors also can commute sentences for those convicted of state crimes and who are incarcerated in their state. These commutations of a sentence, like presidential ones, are not without controversy. In one of his final acts as Governor of California, Arnold Schwarzenegger commuted the sentence of Esteban Nunez, a fifteen-year-old who pleaded guilty to stabbing to death Luis Santos in 2008. Santos’s parents feared that this commutation was for political reasons. Esteban Nunez was the son of Fabian Nunez, a powerful California Democrat and an ally to Governor Schwarzenegger. This commutation was also a complete surprise to the San Diego District Attorney’s office, which also reflected negatively on the Governor. Following Governor Schwarzenegger, current governor of California Jerry Brown is known for granting numerous pardons and commutations. In August 2017, Governor Brown commuted the sentences of nine felons, four convicted of murder. Many of the petitions given to Governor Brown stated the felons’ history of violence in their family and during their childhood. Many also stated their addiction to drugs that contributed to their criminal lifestyle. Others stated what they had achieved during prison, including college degrees and how their life and outlook on life has changed. Commuting a sentence is a useful tool for both presidents and governors. Both can use this power to make a statement on criminal justice reform and exercise mercy based on their petitions. Pardoning a crime erases the crime completely from a person’s criminal record. This can sometimes reflect negatively in the public eye. Commuting a sentence is a way to straddle this line, without the negative publicity. It will be interesting to see if the trend towards more petitions for commutation of a sentence increase and whether or not the granting of these petitions will continue to increase as well.